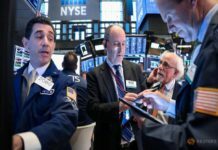 U.S. stocks rebounded on Monday after two bruising weeks, as investors picked up beaten-down energy and financial stocks, while retailers gained on hopes of robust sales on the largest online shopping day of the year. Cyber Monday is expected to rake in a record $7.8 billion in sales, according to Adobe Analytics, as shoppers flock to online sites for deals. E-commerce giant Amazon.com Inc (AMZN.O) jumped 3.4 percent, providing the biggest boost to the S&P 500 and the Nasdaq. The consumer discretionary index .SPLRCD rose 1.75 percent. The energy index .SPNY rose 1.52 percent as oil prices recovered some losses from its near 7 percent plunge on Friday, while financials .SPSY added 1.97 percent, helped by gains in JPMorgan Chase & Co (JPM.N) and Goldman Sachs Group Inc (GS.N). The S&P 500 entered correction territory for the second time in the year on Friday after it closed 10.2 percent lower from its record closing high on Sept. 20. 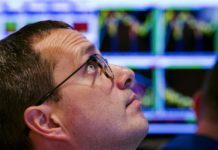 High-flying technology stocks have been at the center of the recent selloff, which has been triggered by a number of factors including U.S.-China trade dispute, rising U.S. interest rates and signs of global economic slowdown. 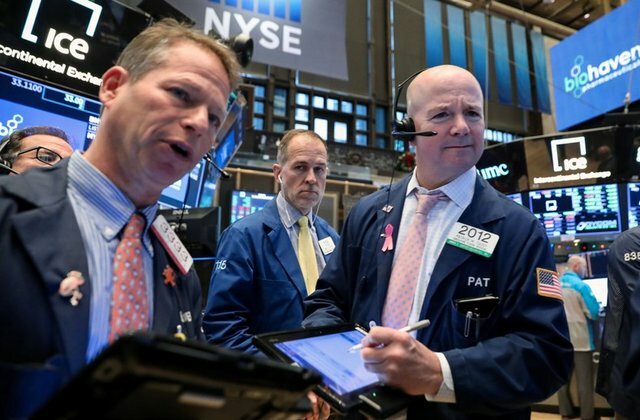 “We were very over-sold last week and that happened in a holiday shortened sub-optimal environment, and markets are catching a bounce,” said Art Hogan, chief market strategist at B. Riley FBR in New York. General Motors Co (GM.N) jumped 6 percent after the automaker said it would cut production of slow-selling models and slash its North American workforce. Other automakers, including Ford Motor Co (F.N) and Fiat Chrysler Automobiles NV (FCHA.MI), (FCAU.N), also rose. 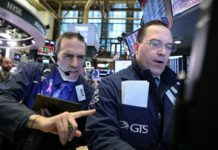 At 12:29 a.m. EDT the Dow Jones Industrial Average .DJI was up 245.77 points, or 1.01 percent, at 24,531.72, the S&P 500 .SPX was up 26.90 points, or 1.02 percent, at 2,659.46 and the Nasdaq Composite .IXIC was up 84.45 points, or 1.22 percent, at 7,023.43. Investors will keep a close watch on the G20 Summit this week, where U.S. President Donald Trump and his Chinese counterpart Xi Jinping are expected to hold trade talks in Buenos Aires. “I don’t think you are going see a complete solution to the trade dispute, but you are going to see a path towards a solution,” said John Lynch, Chief Investment Strategist for LPL Financial in Charlotte, North Carolina. The technology sector .SPLRCT rose 1.09 percent after dropping more than 6 percent last week, its worst fall in eight months. Nvidia Corp (NVDA.O) rose 1.9 percent after Credit Suisse began coverage of the chipmaker with an “outperform” rating. The defensive consumer staples .SPLRCS and real estate .SPLRCR were the only major S&P sectors to trade lower. Advancing issues outnumbered decliners by a 1.85-to-1 ratio on the NYSE and by a 1.59-to-1 ratio on the Nasdaq. The S&P index recorded five new 52-week highs and two new lows, while the Nasdaq recorded 14 new highs and 66 new lows.